The new C-Class Cabriolet is everything you’d expect from the youngest member of the C-Class family; stylish, smart and a seriously exhilarating drive! Rounding off this extremely popular range in style, any one of its seven engine variants is guaranteed to deliver a sporty adventure. Drawing on the innovative design of the S-Class Cabriolet and the performance of the C-Class Coupé, the new C-Class Cabriolet is the perfect blend of style and performance. Setting trends, the C-Class Cabriolet features the world’s first 9-speed automatic transmission within the segment. The 9G-Tronic is available on most trim levels and creates the perfect blend of efficiency and responsiveness whilst ensuring a comfortable ride by minimizing noise, vibration and gear change disruption. The C-Class Cabriolet’s sleek Coupé form features a long bonnet, diamond radiator grille and LED High Performance headlamps whilst the distinctive rear with its wide shoulders and muscular tail turns heads when it is on the road. Stylish sports seats with side bolsters and integrated headrests, multifunction sports steering wheel and AMG sports pedals also ensure comfort throughout. Like all youngsters, the new C-Class Cabriolet is very technologically savvy and is jam-packed full of gadgets to make your drive seamless and enjoyable. The roof can be opened in just 20 seconds at speeds of up to 31mph and for maximum top-down driving pleasure and comfort even in colder temperatures, the innovative AIRSCARF feature will blow warm air from the head restraints, with flow rate cleverly adjusting in accordance with vehicle speed. Sports seats combined with AIRCAP technology reduce turbulence meaning you will always ride in comfort, as well as style. Designed for those with a busy and active lifestyle, keyless technology allows you to unlock and start the engine quickly, Garmin® Map Pilot Navigation will guide you to your destination and a reverse parking camera displayed on an 8.4 inch display will assist you with parking when you get there. The C-Class Cabriolet is the perfect companion on any drive. The exceptional reputation of the AMG range continues with the Mercedes-AMG C 43 4MATIC Cabriolet, applying cutting edge technology and a dynamic performance with every single drive. Engineered with absolute precision, the weight saving design of the all-new 3.0L turbocharged V6 Petrol Engine with 367hp ensures that both handling and efficiency are working at full capacity whilst the 9G TRONIC auto transmission guarantees a seamless transition with each and every gear change. The AMG C 43 4MATIC Cabriolet’s rapid acceleration is balanced with an extremely responsive sport braking system, made up of ventilated compound discs and AMG branded brake pads. Performance and style go hand in hand and this car excels in both areas. The soft top roof is available in your choice of four different colours. When up, it offers excellent thermal insulation and provides the lowest noise level available within its segment. Advanced technology ensures that, when opening, the roof can retract safely in just 20 seconds at driving speeds of up to 31 mph. A Diamond Grille with AMG lettering demands attention and 18 inch, 5-spoke, black painted, high sheen finish wheels give it a premium edge that sets it apart from the competition. The handsome AMG Performance Exhaust System features two additional exhaust flaps for a stronger sound differentiation and a powerful look. Inside, you are given a truly warm welcome with an automatic seat belt presenter urging you to settle in and buckle up for the ride. ARTICO/DINAMICA upholstery and contrast red stitching detail wraps both the seats and the dashboard giving it an all-encompassing feel, swallowing you up and making you feel at one with the car. Incredibly exciting new additions to the Mercedes-Benz line-up are the Mercedes-AMG C 63 and C 63 S Edition 1 Cabriolets. Creating immense driving pleasure through supreme acceleration and incredible torque, they certainly deserve their place in the prestigious Mercedes-AMG line-up. Powered by the AMG 4.0L twin-turbo V8 engine, the Mercedes-AMG C 63 is hungry to be pushed to the max. Fully prepared to handle all roads, the engine combined with the AMG mechanical rear-axle limited-slip differential improves acceleration out of corners and increases driving stability in slaloms or when changing lanes at high speed. For an extra sporty edge, a spoiler lip protrudes from the rear and V8 biturbo badging is positioned within the side wings. Inside, atmospheric ambient lighting that has five dimming levels and 3 colours reflect on to the premium Nappa leather which covers both the steering wheel and seats, the front of which is where Mercedes-Benz AIRSCARF technology can be found. Designed for use all year round, warm air is blown from the head restraints, the flow of which automatically adjusts depending on the speed of the vehicle. For added ease of use, the Memory Seat Package, which stores information of both mirror and seat positions, comes as standard and can be activated at the flick of a switch. As if the Mercedes-AMG C 63 wasn’t enough, the S Edition features even more technology and driving experience upgrades. An AMG Night Package that includes privacy glass comes as standard, as does a Burmester® Surround Sound System, two tone Nappa leather and matt carbon fibre trim throughout the cockpit, all of which helps boost the already premium internal styling. Externally, 19/20 inch forged cross spoke alloys carry the sleek looking body, all led by an intelligent lighting system. 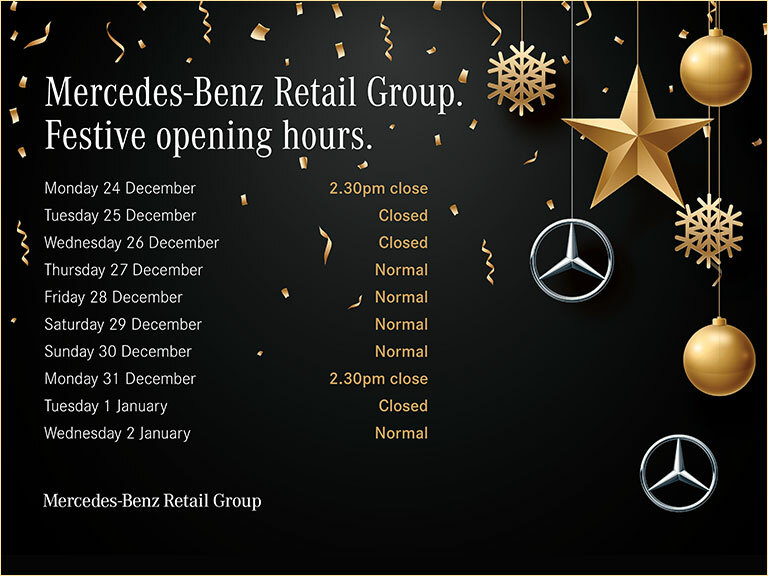 Head over to your local Mercedes-Benz dealership for more information. Please note that UK specifications may differ.